Whether you’re a care supplier, industry expert or like-minded care professional, our Care Roadshows are the place to be for a dementia event that is highly informative. With events taking place at locations throughout the UK, you’ll have no difficulty finding one that’s close to you. If you would like more information or would like to inquire about exhibiting at one of these events, call Care Roadshows now on 01425 838393. If you’re an individual working within the care industry, you may have already heard about the Care Roadshows. For those who haven’t, it is a dementia event that takes place throughout the UK and is free to attend. There are plenty of incentives to attend from discovering new services and innovative products to learning more about the industry, receiving updates and gaining whole new insights. For those looking to make their presence known, there are plenty of opportunities to network with other like-minded individuals. You’ll also discover free workshops and dementia care seminars and plenty of other opportunities to improve your knowledge and understanding. For those who run their own care business, this is an exciting chance to take your business to the next level. From care home owners and managers to social services executives, care providers and domiciliary providers, whatever your occupation, our dementia event is well worth attending. 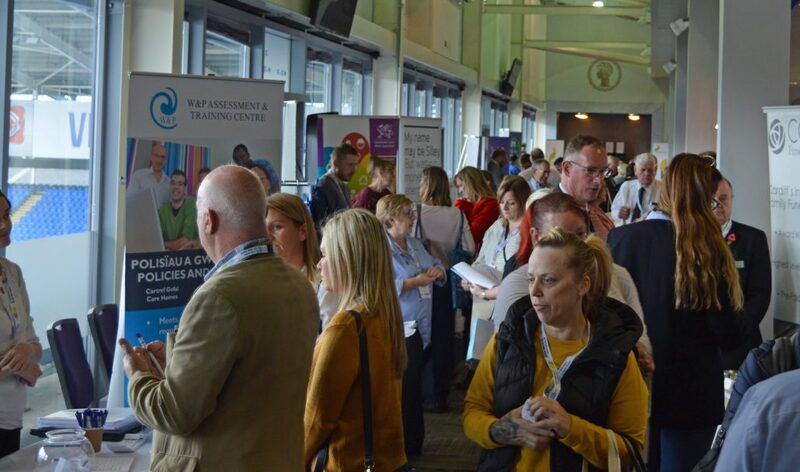 For the last seven years, our Care Roadshows have attracted numerous professionals who have exhibited to thousands of attendees. At our dementia care show, attendees can interact with dedicated suppliers, source the latest products and connect with industry peers. We make a point of limiting each product or service to two companies per show. This ensures maximum exposure providing exhibitors with the chance to collect high-quality leads. You can learn more about how senior care professionals are targeted through a comprehensive marketing campaign by clicking on our exhibiting page. This page also includes more information about our sponsorship opportunities for companies looking to stand out from the crowd. Whatever you’re looking to promote from brand identity to a unique selling point, you’ll find a dementia event sponsorship package to suit. While attending our Care Roadshows, you’ll have the opportunity to attend free seminars that cover a wide range of issues. Each session usually lasts around 30 minutes and is intended to be educational, informative and inspirational. Our dementia event is all about shining a light on the current issues and topics that affect the industry. If you’re interested in speaking, get in touch with the Care Roadshows team today. Where are Our Care Roadshows Taking Place? Every year, our dementia event takes place right across the country and key regional locations selected based on the number of nearby care homes. Our current line-up of events for 2018 has now concluded. You’ll be able to find out when the next events are taking place by clicking on any of the links below. Events will be announced soon, so check back often or get in touch with a member of our team to find out more. Why Should You Attend One of Our Care Roadshows? Since it’s inception, the Care Roadshow has served as a platform that has brought insight to thousands and helped to educate, promote and inform professionals across the UK. Our dementia care show has, and always will be, a place to view innovative products and services that serve to enhance the quality of care throughout the industry. It’s a place to update your knowledge and to learn about recent events and changes that affect us all. While here, attendees will have the opportunity to gain insights and advice from experts, take advantage of deals and offers exclusive to the show and try products before they buy. For businesses, this is an excellent chance to generate new ideas to take your business in a whole new direction. Best of all is that with FREE workshops, dementia care seminars, parking and a £100 prize draw, there are even more reasons to attend. To find out more about a dementia event taking place at a Care Roadshow near you, call us today on 01425 838393.